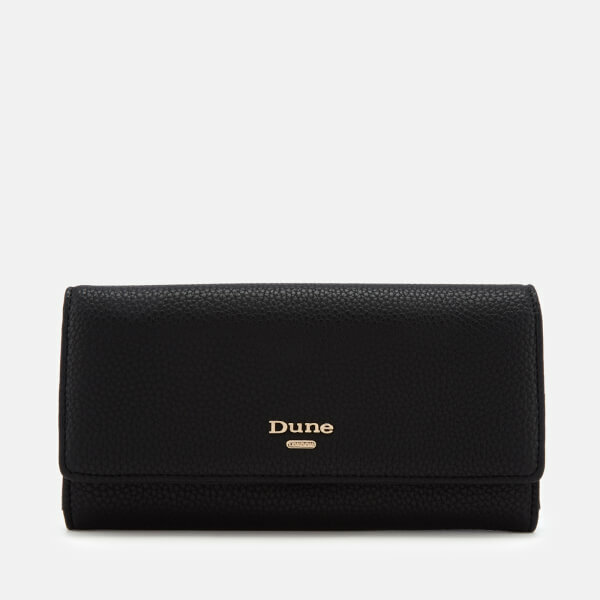 Black leather-look purse from Dune with a tan colour block interior. 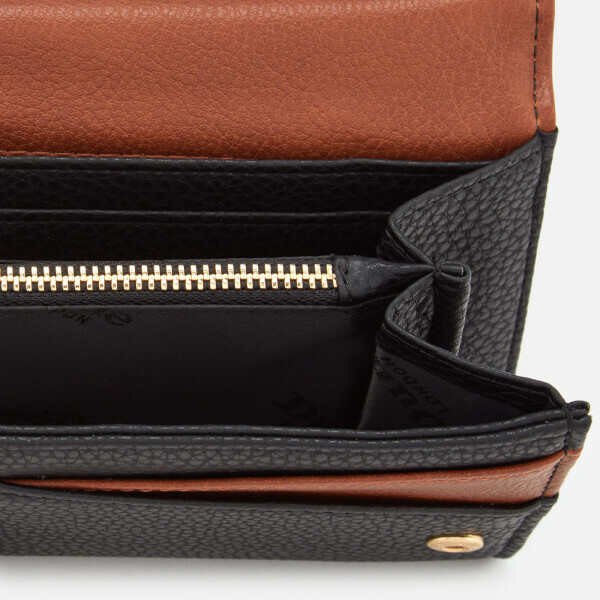 Secured with a twin press stud flap, the 'Kadie' opens to reveal a zipped coin compartment, fourteen card slots and multiple open sections for housing cash and receipts. 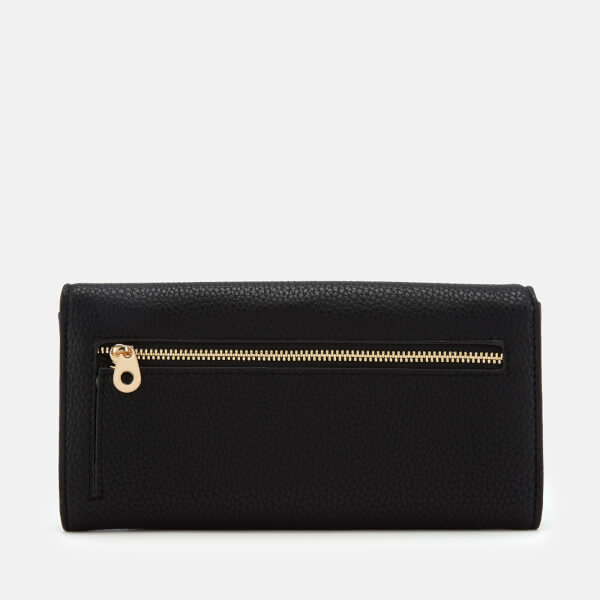 A rear zip pocket also features. 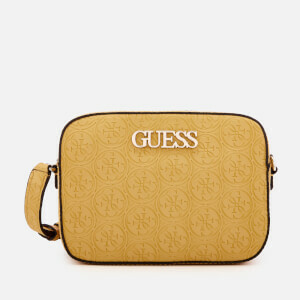 Gold-toned hardware and appliqué branding lend a signature finish. 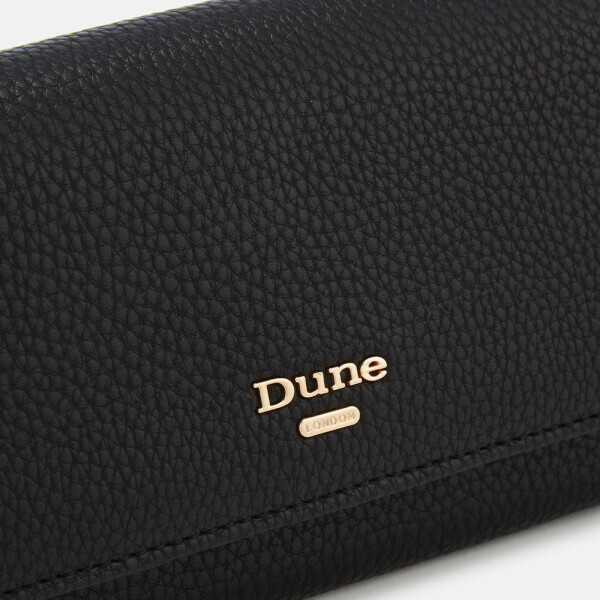 Logo print lining. Arrives with a dust bag.